Mobile Workbench 915mm x 1525mm x 762mm Light Duty. 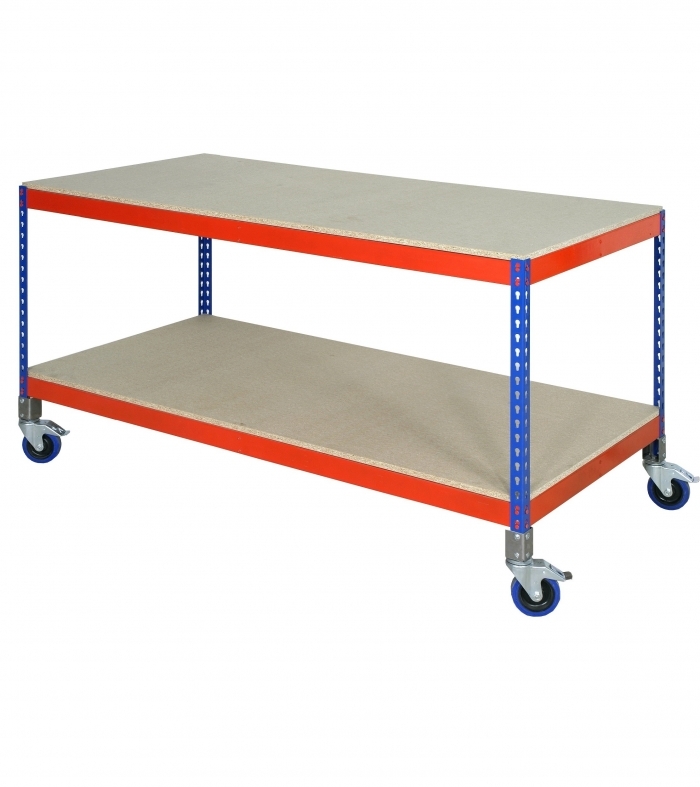 Comes complete with 18mm chipboard on two steel shelf levels and 4 x heavy duty braked castors. Maximum moveable load of 100kgs for the whole bay - 50kg max load per shelf. No nuts or bolts and very little assembly required. You will be up and running within 5 minutes! Delivered within 5 days.